It's sweater season, and I'm all about it. Right there is the type of outfit you'll catch me in 90% of the winter season. This is part one of three simple sweater makeovers sponsored by Boohoo. Boohoo is one of the UK’s leading online fashion retailers, offering trend-led clothing at affordable prices. Boohoo provides a wide selection of celebrity and catwalk inspired pieces – with lots of new looks arriving daily. I chose an over-sized knit sweater for this project; you can find a similar one here. oversized sweater, tulle fabric, marker, scissors, sewing pins, sewing machine, & a circular base object to use a stencil (I used a mason jar). 1. Begin by cutting out small squares of tulle. Using the mason jar/cup, etc., trace circles onto each square piece. 2. Turn your sweater inside out, and begin pinning the tulle squares in various spots on the sweater. I pinned 12 in the front and 14 in the back of the sweater. 3. 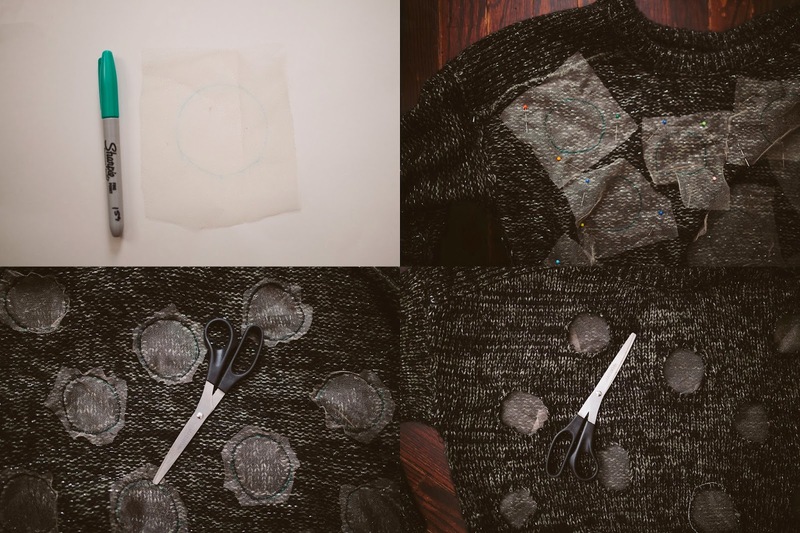 Using a zig zag stitch, sew along the traced circles to attach the tulle pieces to the sweater. Once you've attached all of the pieces, remove the pins and cut off the excess tulle. 4. Finally, turn the sweater right side out, and carefully cut out the knit side middle of each circle. Be careful, making sure to not cut the tulle underneath. Because knit can fray easily, cut close to the stitching but not too close. 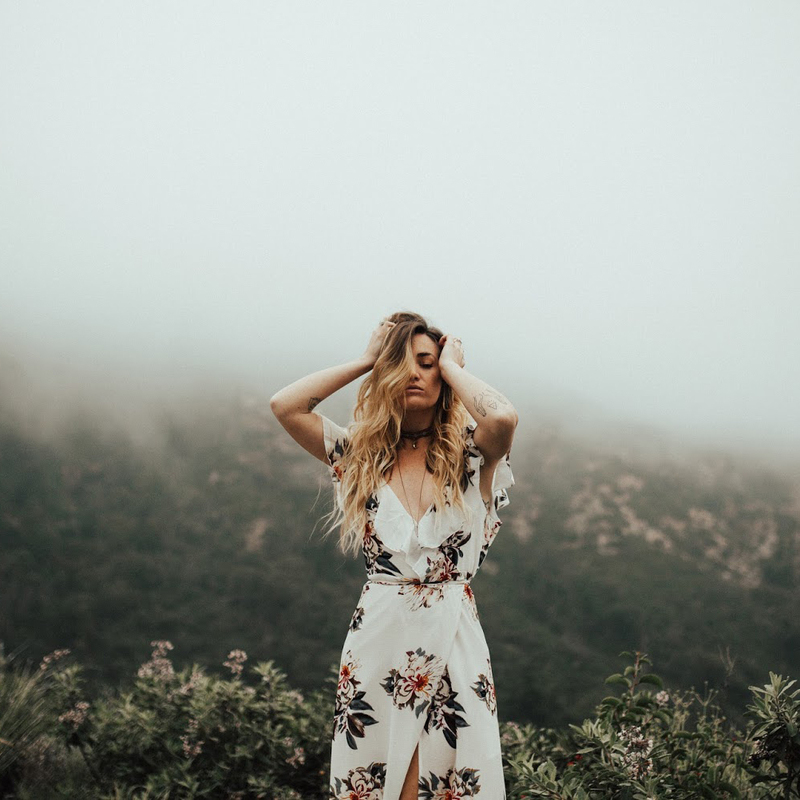 What I love most about this particular project is that because the polka dots are see through, you can change the look by wearing a solid color, fun print, lace, denim, etc., customizing the polka dots to match everything in your wardrobe! I plan on styling this sweater again with a black and white floral dress underneath, some black tights and top knot. How would you style this sweater? I love the diy it looks great! How cute! I love how the tulle looks on the sweater. this is so different & cute. love it, kinsey! Yep :) I guess I have no choice, but to try your beautiful DIY project for Polka Dot Sweater! I love this, so fun!